This is a cause close to my heart. 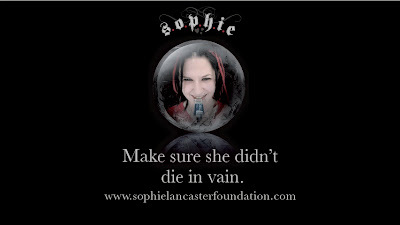 Please take a moment to watch or visit the Sophie Lancaster Foundation website. Wow, this is so incredibly sad :( Thanks for spreading the word. =( I should do a post for her also.Ive never heard about her until today on illamasqua facebook page. I heard Sophie's story a couple years back. Thank you for spreading the word. This is soo sad :( Thanks for sharing! 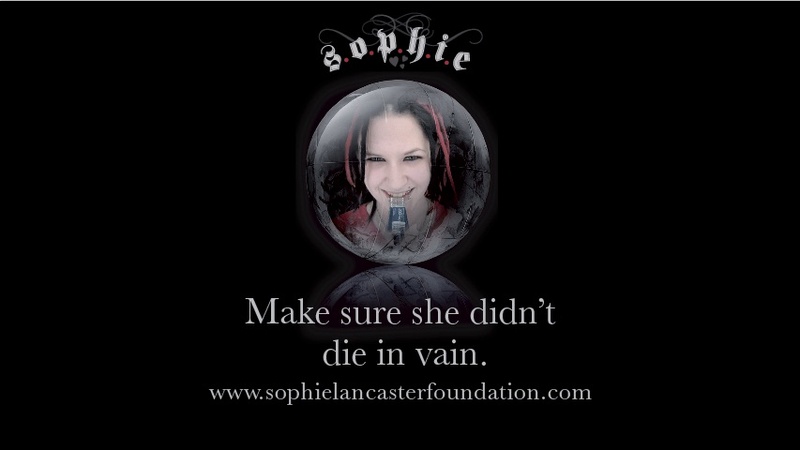 I too have a deep connection with Sophie's story...I didn't wear black or dye my hair but like Sophie I was the subject of senseless violence for how I looked, unlike Sophie I escaped with my life, and her story has touched me so much. thank you for posting this and bringing the message to more people. Word-of-mouth is an even more important tool than funding to stamp out this prejudice & hatred. Thanks so much for this. Hatred and intolerance must be stopped. Now. So sad. She was born the same day as my eldest daughter. Why do people have to be so cruel and judgmental? To attack someone, physically or verbally, just for how they look. So terribly sad.